Klaus Rudishhauser is the Deputy Director General of DG DEVCO at the European Commission. 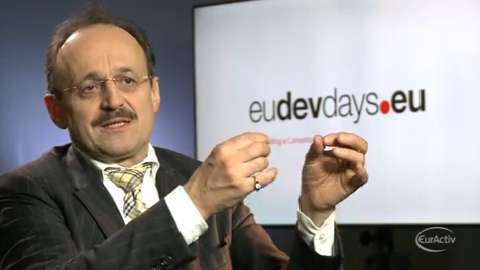 At the 2014 EU Development Days, spoke to EURACTIV about the importance of development aid to Europe, the need for a sustainable development path, and EU funding. Subtitles available in English, French, German, & Spanish. Click the "CC" button on the video control bar above. Hover over the button to change the language.